So! Ladies and Gents! 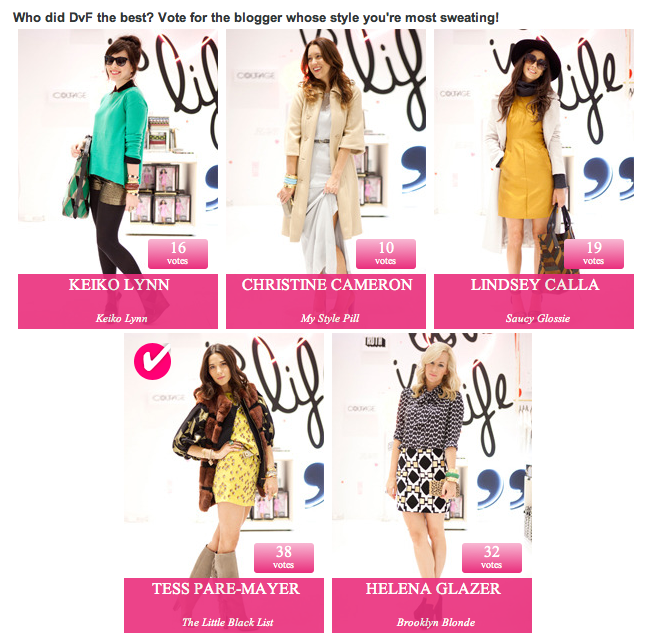 My good friend Tess is in a contest to see "Who Dressed It The Best" with DVF and Refinery29! Tess helped out with the styling for the Saturday Lookbook shoot with Shaun Ross and her friend Amanda. It would not have come out as amazing as it did if it weren't for her help. So to help her out I'm blogging and asking all of you simply to vote for her! All you have to do is visit the page, click Tess and click vote! Just sign in through facebook and thats it! It'd mean a lot to me to see my friend win! Thank you! 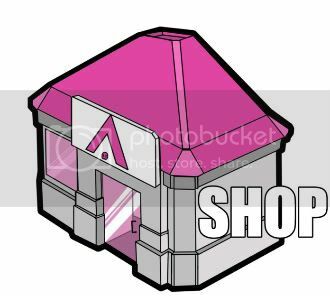 Just click the picture to go to the page! If you did it correctly it should look like the above! With the check next to her name! She also has a great blog, and dressed the best, so its not like she doesnt deserve to win lol Thanks!